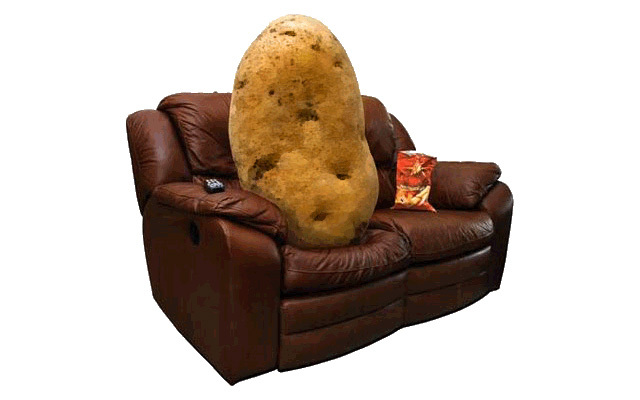 SLOUCH POTATO 3: SLOUCHNADO | Warped Factor - Words in the Key of Geek. British TV is perilously close to becoming trivial. The bulk of it relies on a procession of talent contests and reality TV shows that add up to little more than eye varnish for the masses. It's hard to find a channel where Bear Grylls isn't making a house out of a cows carcass, where a host of Z-list celebrities aren't eating a kangaroos testicles or an evening without a doughy eyed teenager waiting in line to sing for Simon Cowell whilst announcing "it's my dream!". Last weekend, as hard as I tried to find something of merit to watch it proved near futile. In my weariness, the remote rested on Storage Hunters UK, presented by affable egghead Sean Kelly. It's modeled on the original US version where a group of collectors/experts buy storage units that have been reclaimed for non-payment. That surely says it all, but at least in the American version there is the odd surprise in the containers, or is it purely that Americans have a much better class of trash than us Brits? Anyway, the motley group attempt to outbid each other for profit whilst being abused by the auctioneer - I freely admit this part is amusing. We are introduced to the main players, include Dan (Essex Boy), George (opportunist), Heavy D (a childlike yobo) and Linda (also from Essex). Each has a unique way to place a bid, with a call clearly dictated by the production team. Loud and nonsensical exclamations, such as "Mine", "I'll 'ave summa dat" and the inexplicable "Boom". "Does the price go on weight? It is heavy." The man shook his head and looked suitably bemused. It's just another day at Sydney Airport, Australia. We are introduced to a steady stream of customs and immigration officers who are particularly persnickety when it comes to letting people enter the land of Vegemite, surfboards and barbie's (of the "throw a shrimp on" kind). In this double bill there was a man suspected of swallowing drugs, two Chinese passengers trying to smuggle home cooked delicacies into the country and a man who they believe had entered Australia with the intention of working! Yes, its an unforgivable crime I know, much better to be a drain on resources and become a beach bum with no ambition, rather than pursue a life that consists of legitimate toil and rewards. The 'potential worker' was becoming understandably anxious, sat in an empty room twiddling his job-seeking thumbs whilst his claim to having an Australian girlfriend and young child were investigated with meticulous vigour. After what seemed like a lifetime the man wasn't deemed a threat and was allowed to go on his way. I'm telling you, more drama than Neighbours and Home & Away combined! Next up, a couple who were intercepted on their way from Thailand. What sort of contraband might these two unsavoury characters have concealed within their ordinary looking cases. Semtex? Unlicensed firearms? Homemade explosives? Well, no, but they did have a chicken burger in a takeaway container. The officer opened the lid with a gloved hand as if dealing with an incendiary device, because "Chicken is on the list of prohibited items, it's dangerous." Of course it is. The couple looked at the female officer blankly, then at each other. She went further, pulling the bun lid off the burger and poking around with an index finger. "Lettuce ....and mayonnaise are also on the list". The traveler explained it was a long flight and that it was purchased in case they became hungry, but what may have seemed like a perfectly reasonable explanation fell on deaf ears as the stony faced customs officer continued to burrow through their baggage eventually producing another bag with a meaty content. "Pork is also on the list and is considered dangerous!" It's staggering that these people even managed to get on board a plane, after all they may have held the crew hostage with a luke-warm pork chop and diverted the aircraft to Cuba. What else could the over zealous official find? The contents of the bags were closely scrutinised by this beagle in epaulets, no bras or pants went without a thorough examination and just as it looked like all the drama was over, without warning the officer sprang into life. "Wood bark!" she announced gazing at the pair. A bit of an odd thing to have in a bag, I freely admit, but on a scale of one to ten with ten being a weapon of mass destruction, wood bark seems to me to be a fairly innocuous item. However, once again the officer stated that it was indeed on the list of prohibited items and could result in a €250 fine. The couple stood numbly by awaiting their punishment, but there was none forthcoming, just a firm rebuke in a strange accent and the removal of all the items. 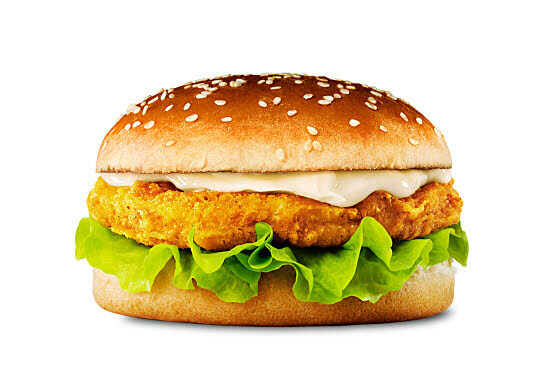 One assumes the chicken burger was put into a steel case with a electronic lock, awaiting disposal, probably by someone dressed in a bright yellow class 2 fully encompassing radiation suit. You can't be too careful, can you? A number of things came to mind at this point concerning "The List", such as... How long is it? What were they like on wine gums? And is there anything remotely dangerous on it at all? I've watched many episodes of this now and there's the occasional incident involving drugs but mainly Nothing To Declare lives up to its ironic title. The recent television adaptation of Constantine didn't last too long, but some of you may have overlooked this cinematic version from back in 2005. Keanu Reeves plays John Constantine, the almost soulless, sinister, chain-smoking demon-hunter and freelance exorcist from Los Angeles. Constantine battles Evil on a daily basis, trying to keep the peace between good and evil but has suffered himself as a result. He is approached by Angela Dodson (Rachel Weisz), an L.A. police detective, whose twin sister, Isabel, has apparently committed suicide. Isabel was thought to have encountered demons yet Angela knows that even if this were true she would be unable to take her own life due to her religious convictions. Like the series, the film is loosely based on Vertigo comics 'Hellblazer' and definitely has a comic book feel to it, but it has other pluses. It oozes style, tension and innovative effects, along with an excellent story and cast. If you wanted a genre for this, well, it's hard to pop it in a suitable box. It's a supernatural-horror-action film, which is hardly a catchy moniker, unlike the movie which is gripping, exciting and original. Verdict - DVD Heaven. A must have. 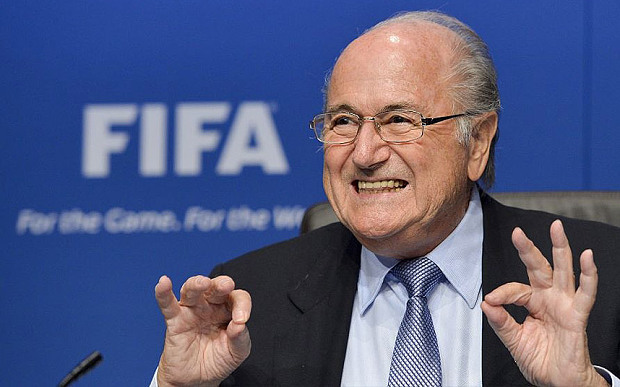 Question - Does FIFA stand for Financial Incentive For Austrians? FBI raids, arrests, the suspension of FIFA's President Sepp Blatter, and accusations of global corruption of the worlds most beautiful game came as a massive shock to those inside and outside the sport. This Channel 5 show's intention was to expose the dodgy dealings whilst at the same time offering new evidence and damming revelations that reached the top echelons of the games governing body. But like much of last week's television it just ended up as a damp squib. "They could never have won it." He meant the bid but he was probably right on two fronts. 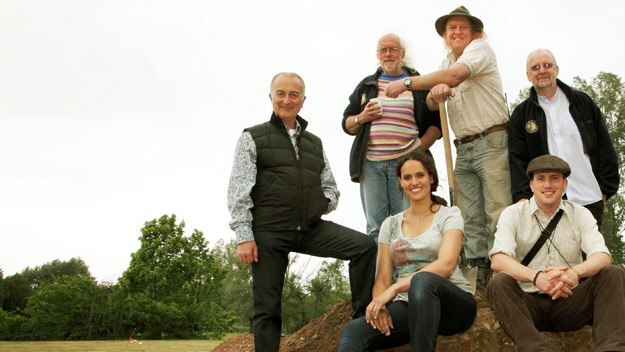 Time Team visited Alveston, north of Bristol, to an underground cove which contained evidence of bones dating back to the Iron Age. Dr Mark Horten was as keen as mustard to unpack his shovel and dive head first down a hole, whilst presenter Tony Robinson had the good sense to stay above ground. Dr Mark was jolly excited by the mixture of bones which turned out to be that of dogs, a cow and a few humans. There was some doubt as to whether it was the site of ritual killings (nice) or just a dumping ground for dead bodies (even nicer) which led to conflicting theories from enthusiastic Dr Mark and forensic scientist Andy. Andy, a rather a portly chap could only wait for more bones to arrive to evidence his ideas because he, himself, was unable to squeeze down a narrow sub hole. This was left to the intrepid archaeologist Carenza Lewis who gingerly made her way beneath the ground whilst the blathering Tony sought immediate answers to pedestrian questions via a radio the size of Ipswich. "What's it like down there?" Came the reply. We may have a different definition of the word bonkers in our above ground world! We moved on to a man in a floppy hat with long hair and another in wellies who decided to dig a long narrow trench hoping to find something interesting, but from the comfort of my armchair all I observed was a muddy trench full of men looking at mud whilst simultaneously being covered in it. "There's not a sniff of anything archaeological here." One said emphatically. And with this compelling admission they decided to dig another hole. "There are millions of bones"
He quickly diluted that fanciful claim. And within seconds he became more realistic about the whole affair. 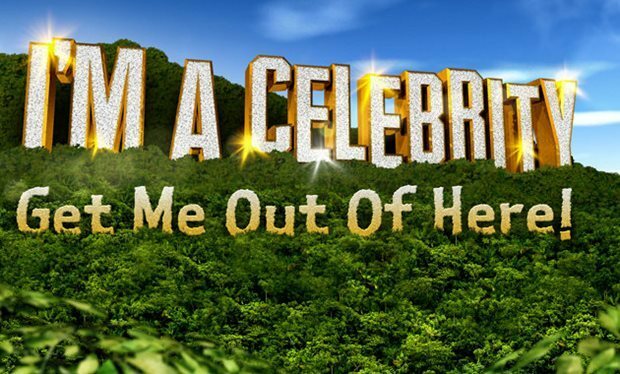 The 'I'm A Celebrity' gang continue to deal with the unpredictable wildlife and sweltering heat in the Australian outback, dining on food that even a goat might turn its back on. During the last couple of weeks it has become clear that even celebrities have their differences and struggle to act with a degree of dignity in certain circumstances but something even more obvious than that has come to light. 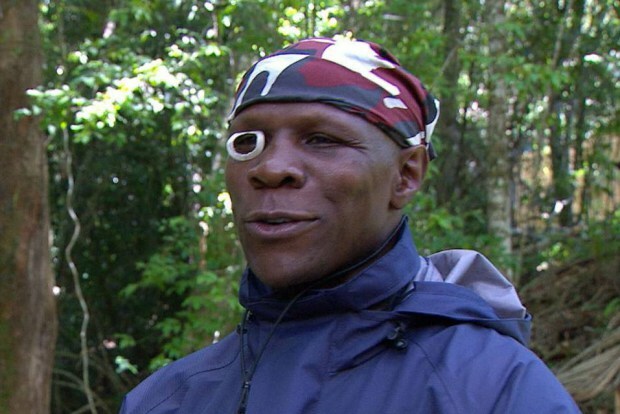 Our 'Mighty Bush' contains Chris Eubank, who was thought to have just adopted a make shift monocle but it has since transpired that he is trying to replicate the look of The Hitcher. 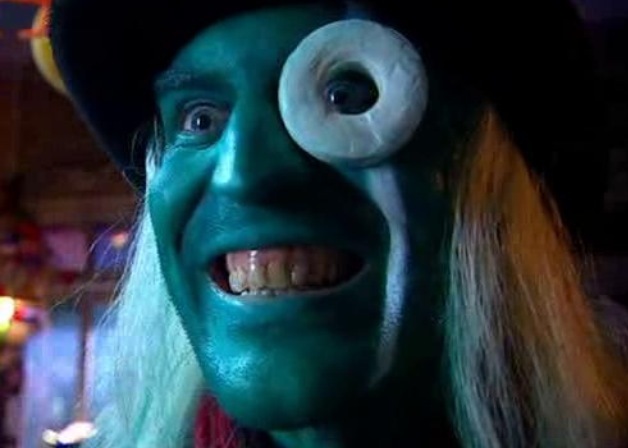 Obviously there are a lack of large polo mints in the jungle, so Eubank has fashioned one from the shell of a stray mollusk as a tribute to the jazz fusion rapper and cockney villain with an abnormally large thumb. 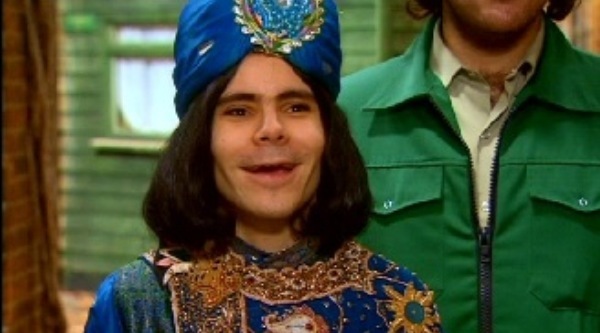 More evidence of plagiarism came in the form of Kieron Dyer who attempted to imitate Naboo, the Shaman enigma. 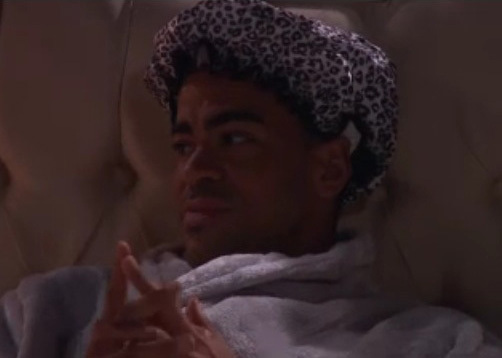 The former Newcastle footballer opted for a shower cap come bed bonnet but observers have quickly picked up on the similarity. 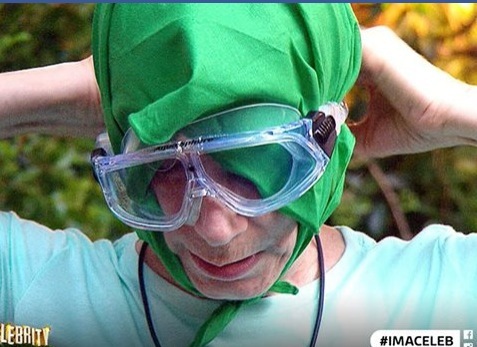 Next it's shamefully apparent that the haughty author and socialite Lady C, who recently copped out of a bush tucker trial and covered her head in a green cloth, bares more than a passing resemblance to Old Greg. 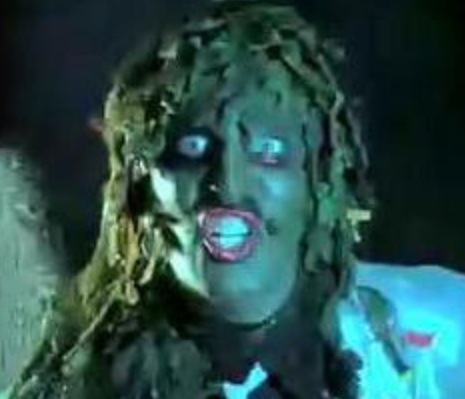 Even the sinister voice and attitude are copies of the being from the deep cavern in the black lake, and it's highly likely that she has drunk Baileys from a shoe. Entrepreneur Duncan Bannatyne bares an uncanny likeness to the Crack Fox. An insane, crack-addled, yet immensely clever fox, who lives in the rubbish heaps of Dalston. Whilst Spandau Ballet's Tony Hadley could easily be confused for Howard Moon (if he had a moustache). You've probably seen the one with the guy lying on the floor with glass embedded in his face, where everyone comes to comfort him (although it appears as if he's actually dead). That's bad enough but 'the one with the balls' is even worse. The tennis balls on the road are supposed to represent a visual metaphor for accidents that 'weren't your fault'. But who orders three tons of loose tennis balls in the first place? Why weren't the balls in a packing case for gods sake? Where did the cyclist go? Why do I even care? Argh!!!! !